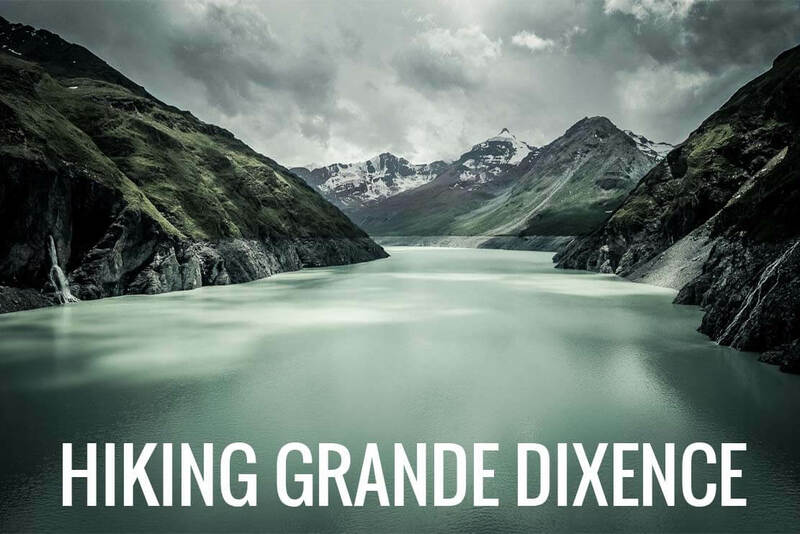 Imposing Grande Dixence Dam with its lake of milky turquoise colour, plenty of very curious marmots, impressive mountain pass, charming stone hut in front of the glacier – a very beautiful hike in Switzerland to the Dix hut. 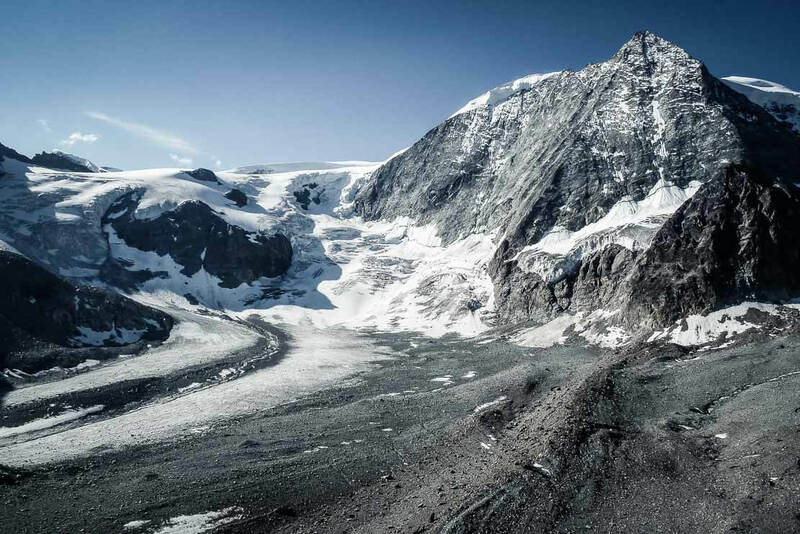 The Dix Hut, bordering the Cheilon Glacier, is located in the Val d’Hérémence, central Wallis, at 2’928m. 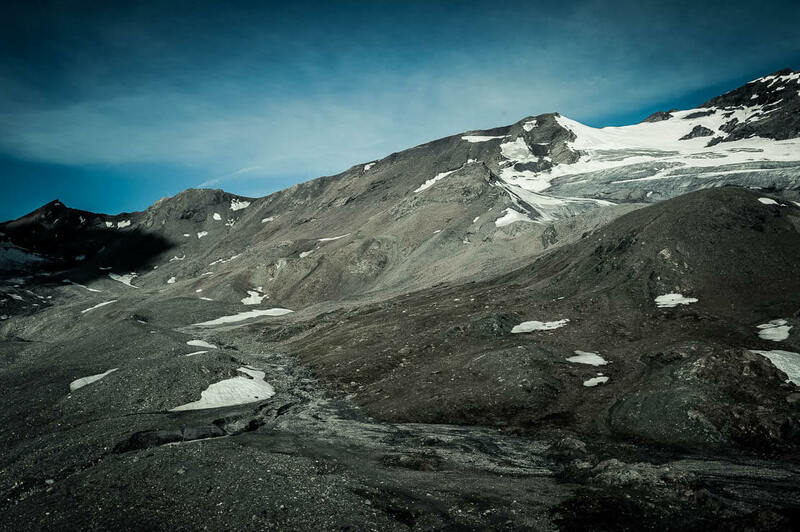 For hiking Grande Dixence Dam, we leave Geneva with a friend early in the morning to get to the hut on time for supper. 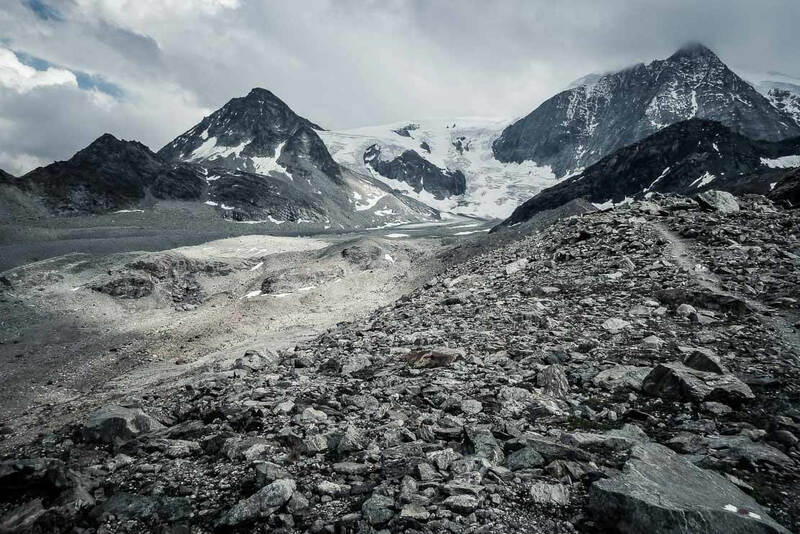 To reach the Dix hut, there are several sections. 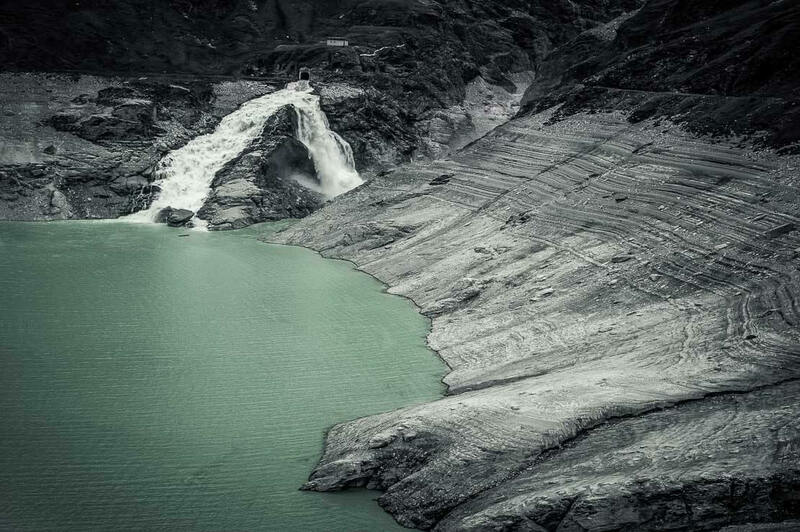 The hike to the Dix hut starts at the bottom of the imposing Grande Dixence Dam, from where you can go on foot or by cable car to reach the top of the dam. We decide to take cable car. Once on the top, we admire the mass of artificially retained water forming the Lake Dix. It’s impressive! The Dix Dam is huge. 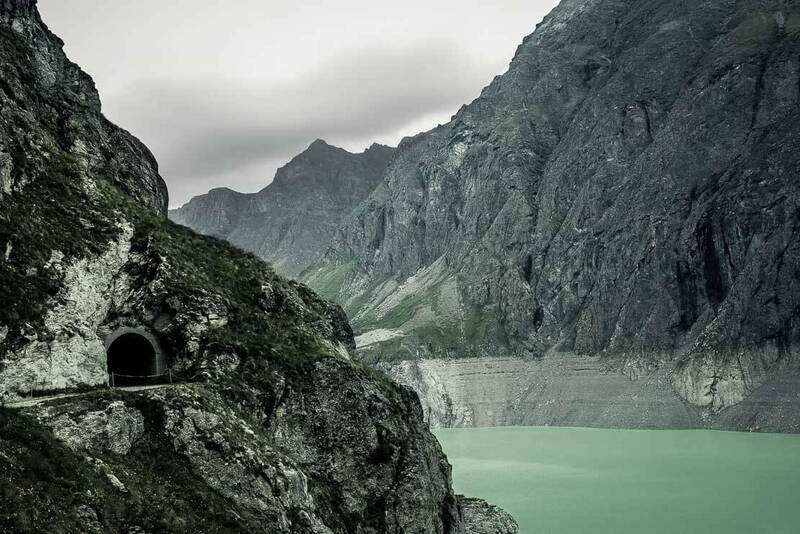 Built between 1953 and 1961, the Grande Dixence Dam is the highest dam in Europe, with 285m of height and its lake of 5km long. 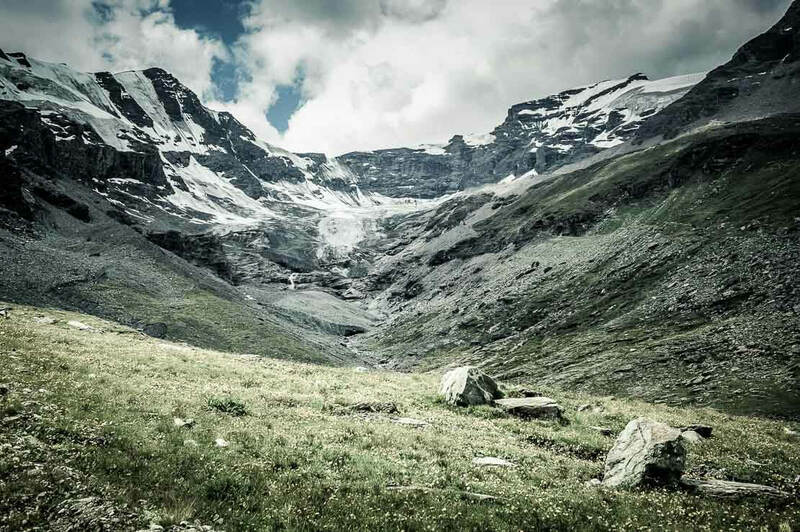 The second section is the walk along the right bank of Lake Grande Dixence. 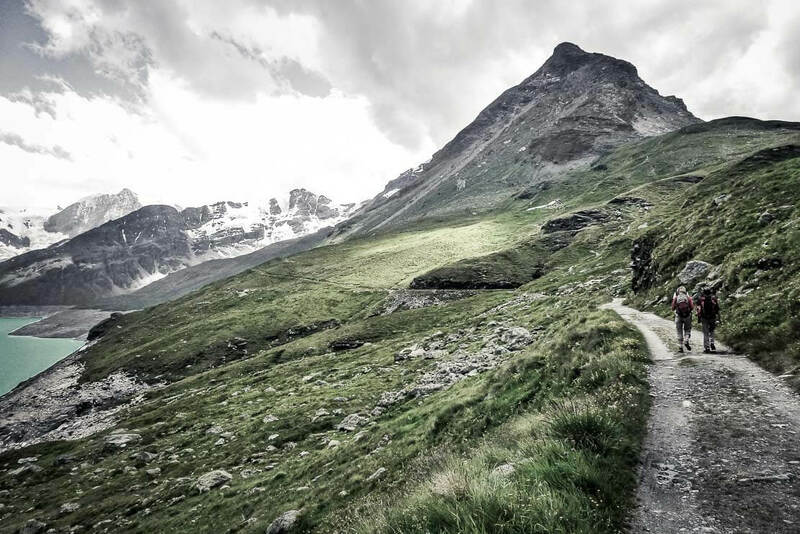 The hiking trail on the top of Grande Dixence Dam is very easy as the terrain is flat on the 5km distance. That’s a very good heating for our hike to the Dix hut. 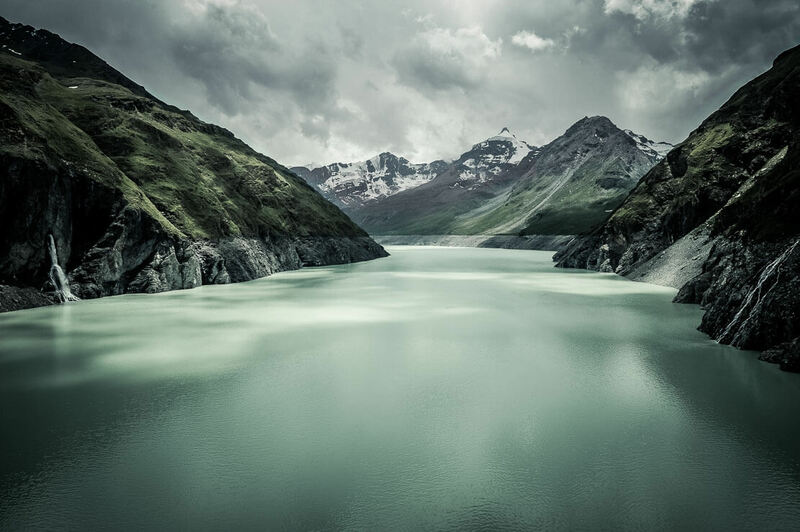 We admire the lake with its milky turquoise colour all along the way. 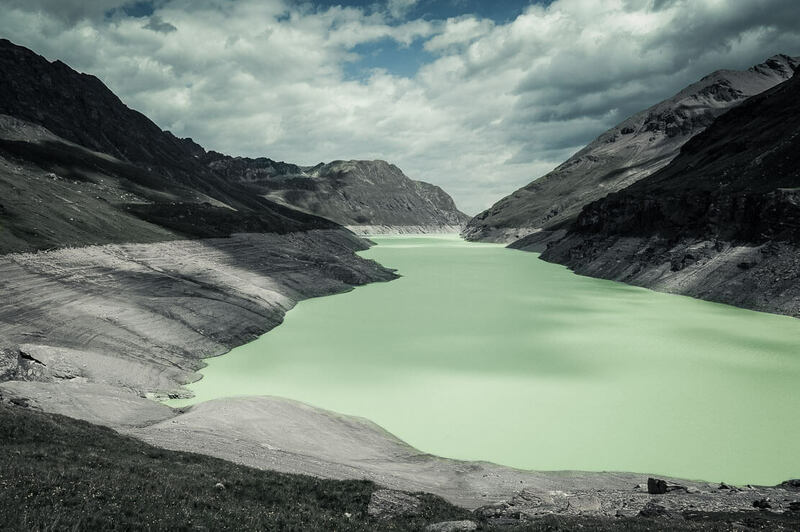 Depending on the time of the year, the lake’s colour turns from turquoise to milky grey. 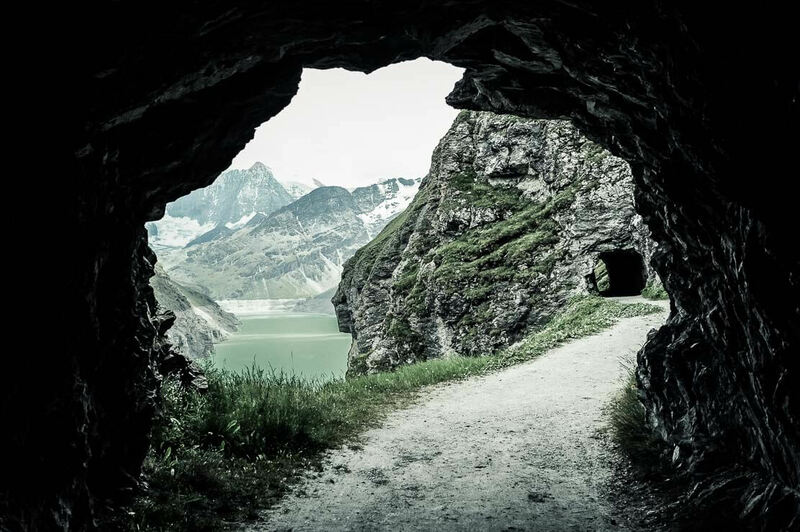 In the beginning, we pass through a series of tunnels, quite dark and damp. There is a bit of light but a flashlight would be helpful. We exit the tunnels and follow a wide flat path to the end of the lake. On the way, we hear and come across numerous marmots. 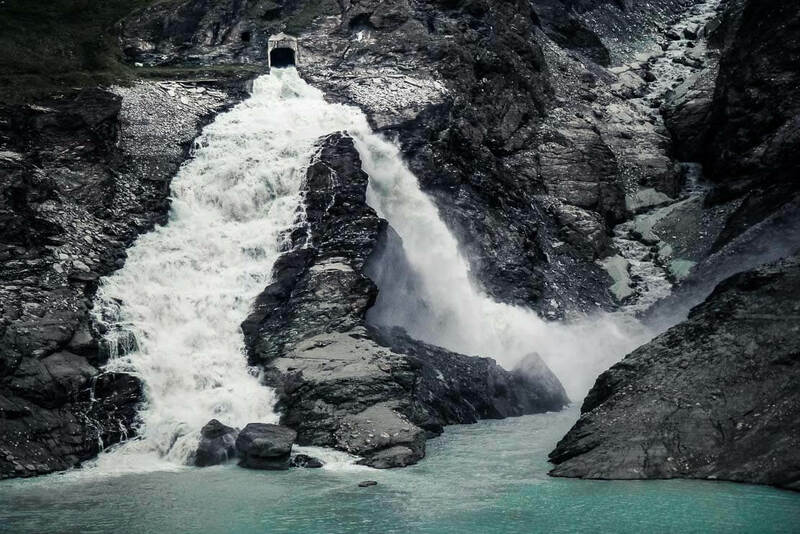 We arrive at the end of the lake to a waterfall with roaring water. Pretty impressive! 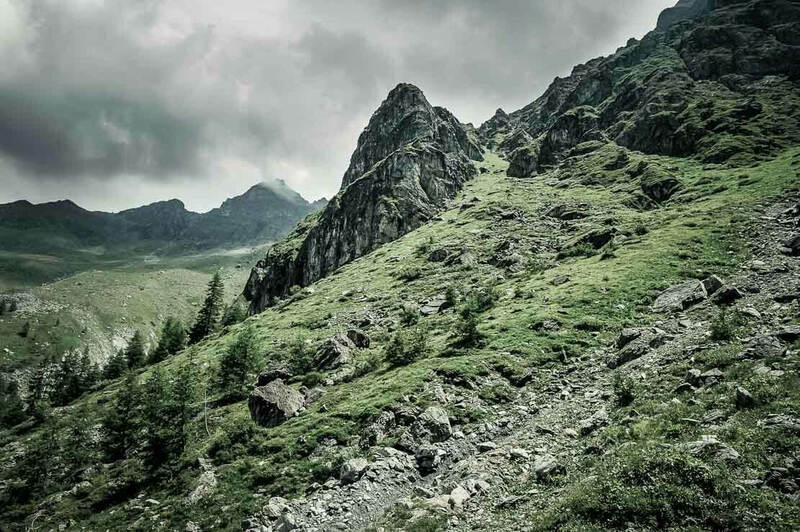 This is also the place, where the trail starts to climb. The transition from the flat to the steep is brutal. 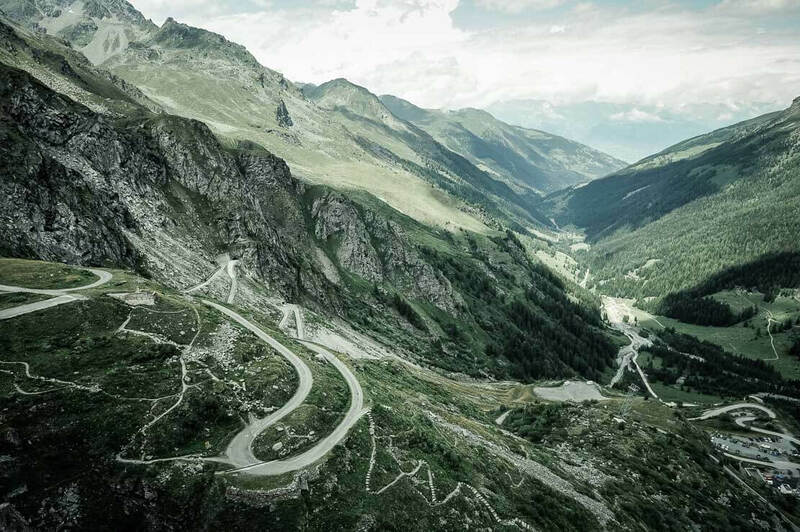 The climb is quite long and it requires good efforts. We go through the mountain pass Pas du Chat. 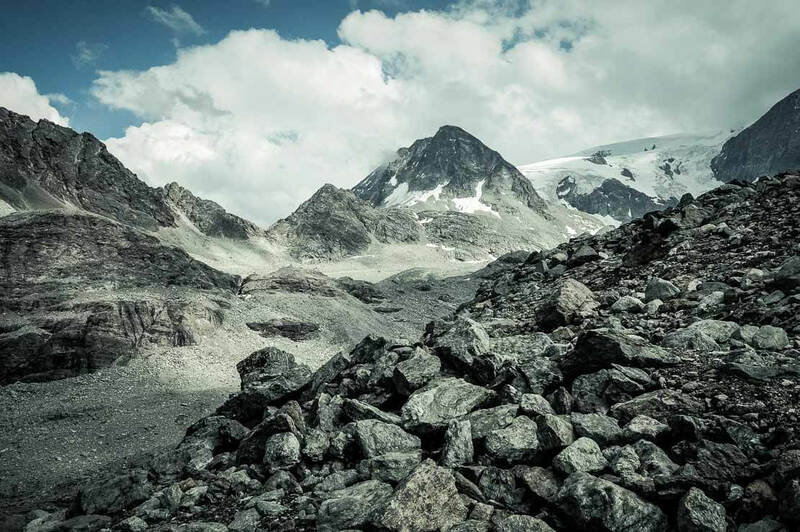 The Matterhorn and the Dent Blanche appear behind the glaciers. From the pass, we finally see the hut in the distance! Almost too far as we start feeling the fatigue and cannot wait to arrive. The weather is stormy, and the rain is threatening. We arrive at the hut when the first drops start to fall. The Dix hut is exactly as we like. Built in stone, it blends into the landscape. 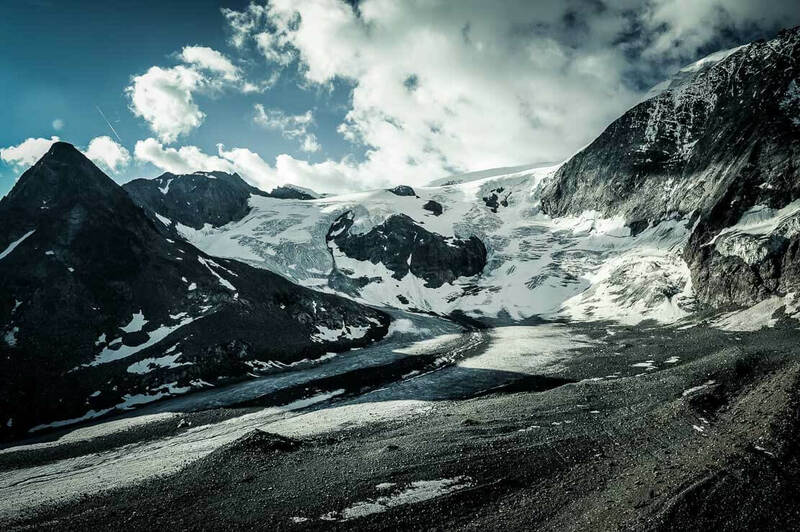 Its location is exceptional, in front of the Cheilon Glacier. 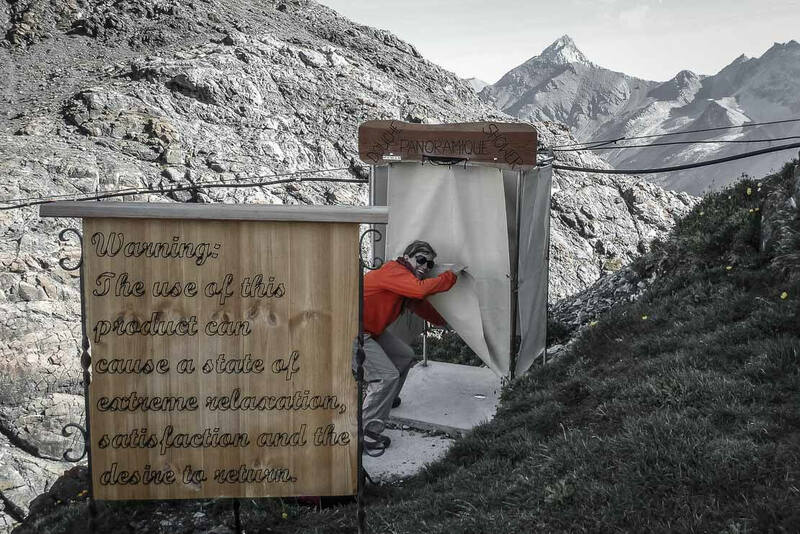 Originally built in 1908 on a lower location, the old wooden hut of Pas du Chat was dismantled and moved higher up on its current location. 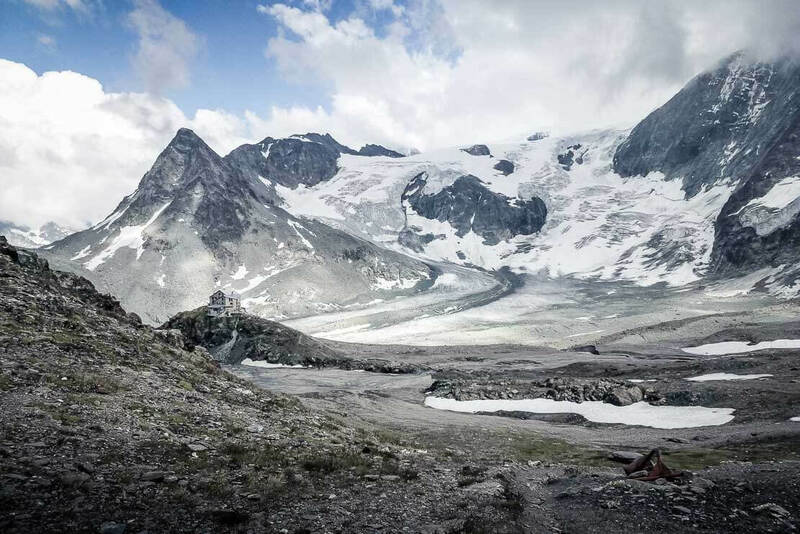 It was replaced in 1929 by the des Dix hut in stone. The Dix hut is very big, maybe the biggest hut we have ever stayed in. 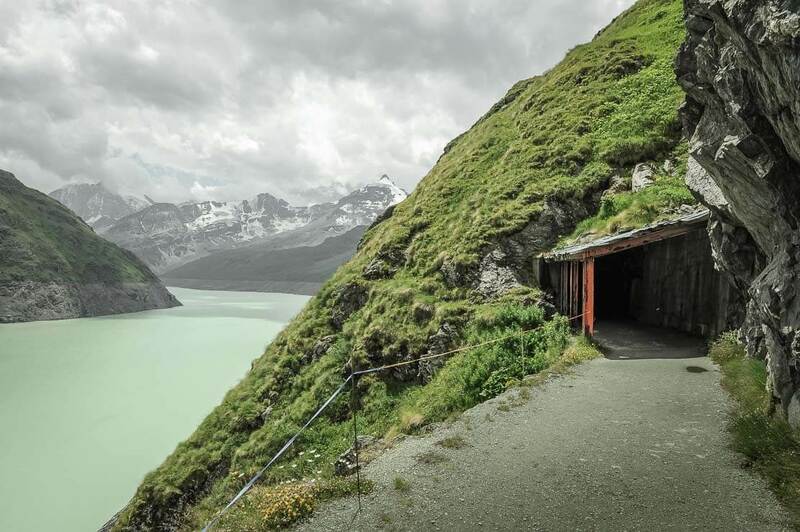 It’s one of the three most visited huts in Switzerland. 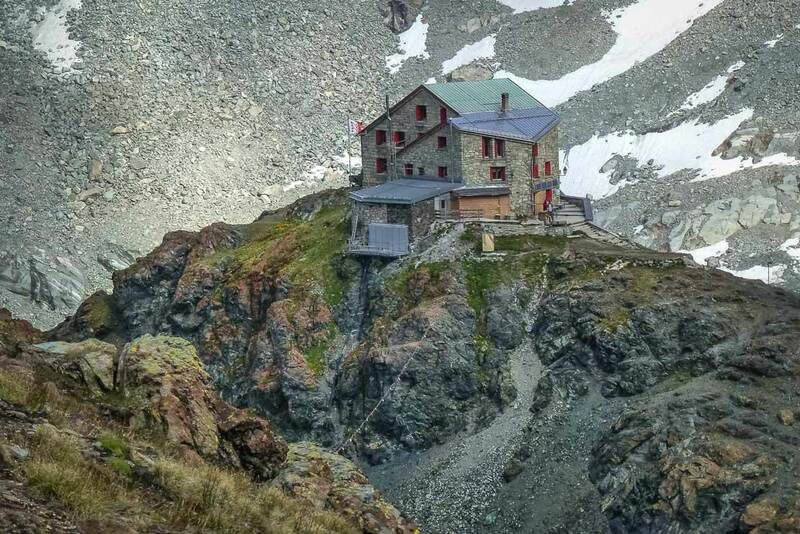 This is the only mountain hut available for those hiking Grande Dixence Dam. 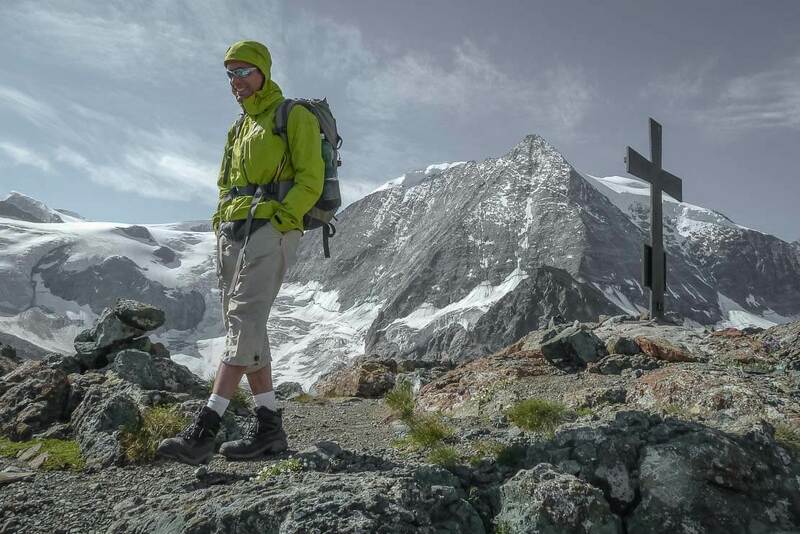 It’s also a necessary stop on the famous hiking road Haute Route Chamonix – Zermatt. 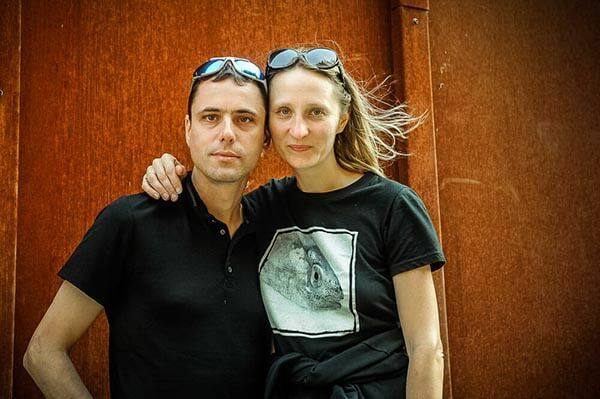 But everything is very well organized and everything works like a clock, even though the hut is full. 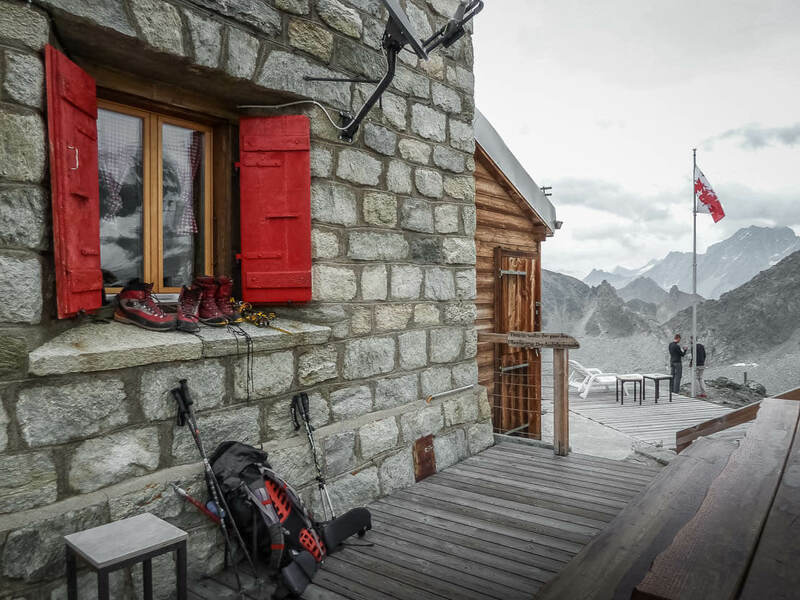 What is great about the mountain huts in Switzerland is that you can have a good time without worrying about cooking – the huts offer a main dish with a soup and a dessert or the plates of cheese and dried meat with bread. It’s also possible to buy small snacks, drinks such as Rivella, wine and beer. It’s always surprising to have all this comfort of the modern life in the middle of the mountains. On the contrary, the showers are outside. It’s cold in the evening and it’s quite challenging to get into the showers. 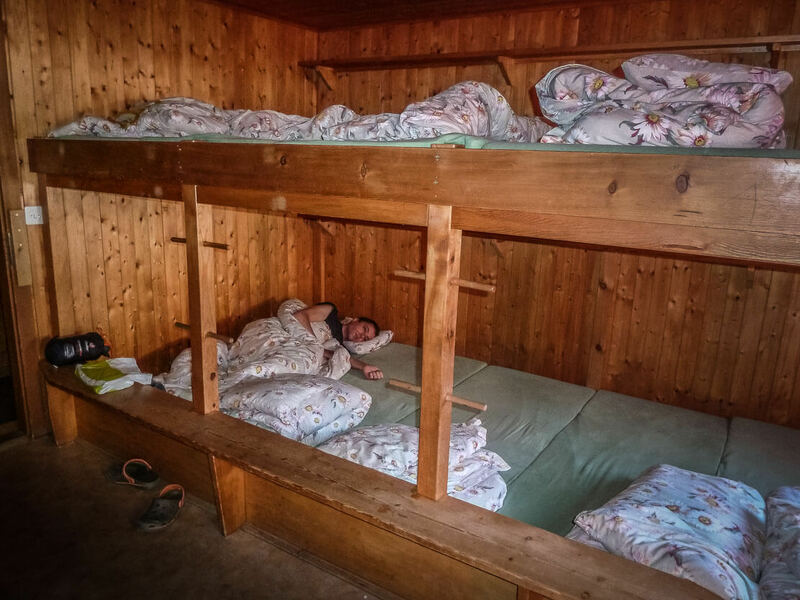 In the mountain huts the atmosphere is usually cheerful and it’s easy to make friends. We have a good time around our evening meal. 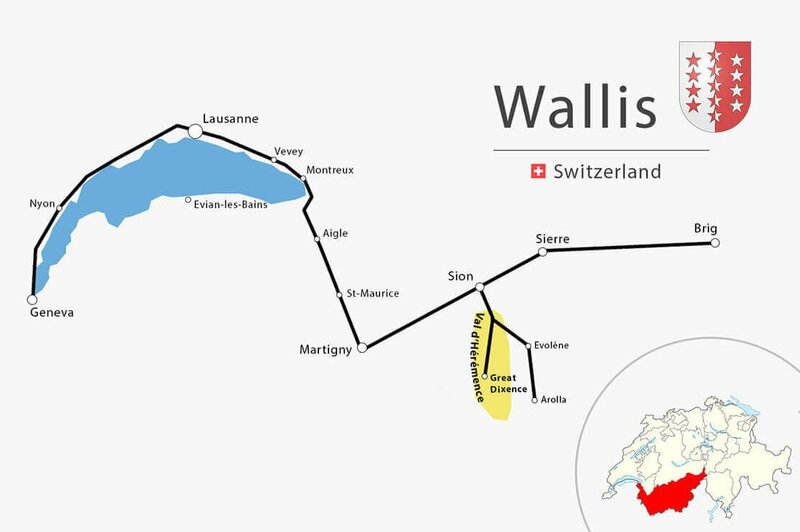 We talk, laugh and drink Wallis wine. In the morning, we get up early to admire the splendid view of the mountains and begin our descent that takes us roughly the same time as the hike up. 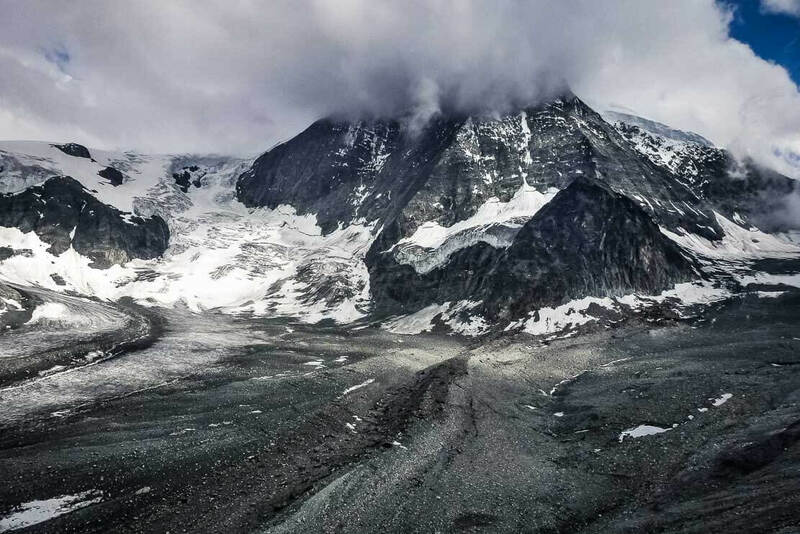 But the experienced hikers can climb the famous ladders on Pas de Chèvres and go on the Cheilon Glacier. 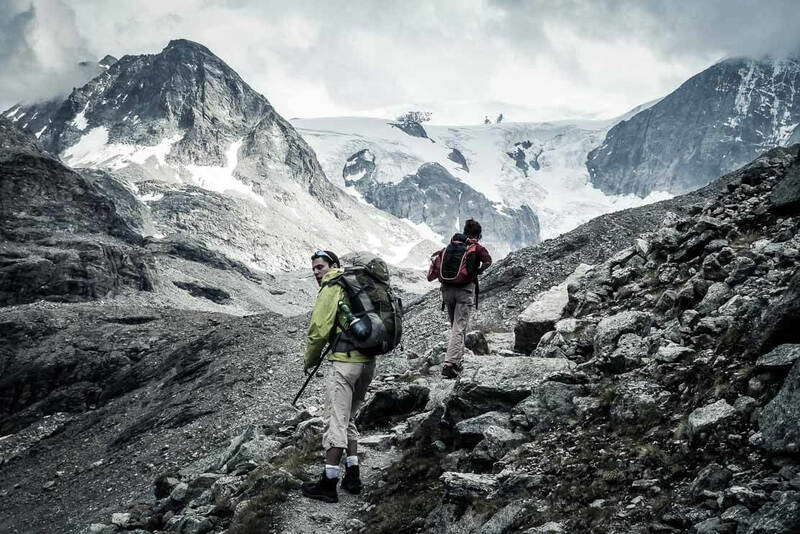 The hike to the Dix Hut is now one of our favourite hikes in Switzerland. 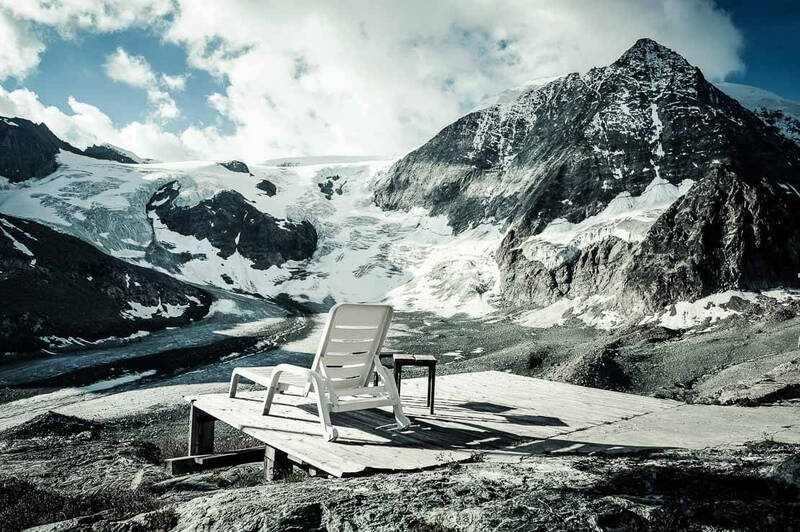 Location: The Dix Hut is located in Val d’Hérémence in the canton of Wallis in Switzerland. 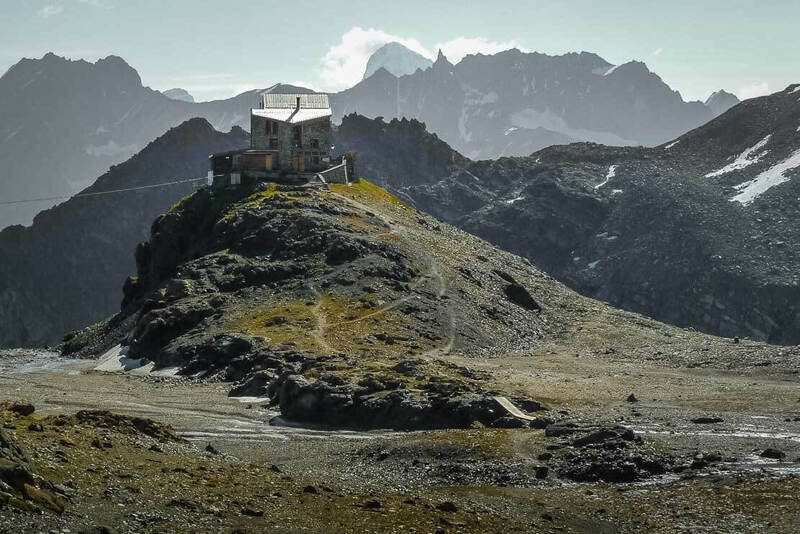 The hut, located at 2’928m, is accessible from 1) Grande Dixence Dam in Val d’Hérémence (easy hike) or 2) from Arolla via Pas de Chèvres (difficult hike). 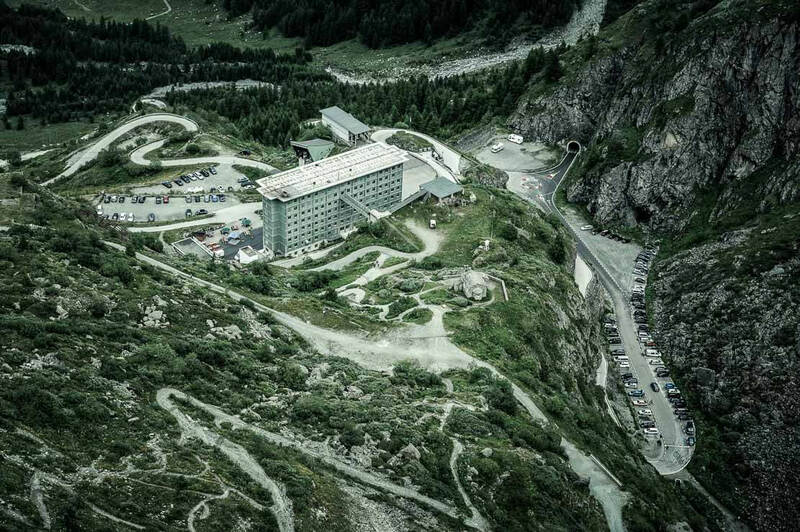 Once at the foot of the Grande Dixence Dam, we recommend to take a cable car as hiking to the top has no particular interest. It also saves 45 minutes. Timing: 4h30 min from the top of the Grande Dixence Dam. 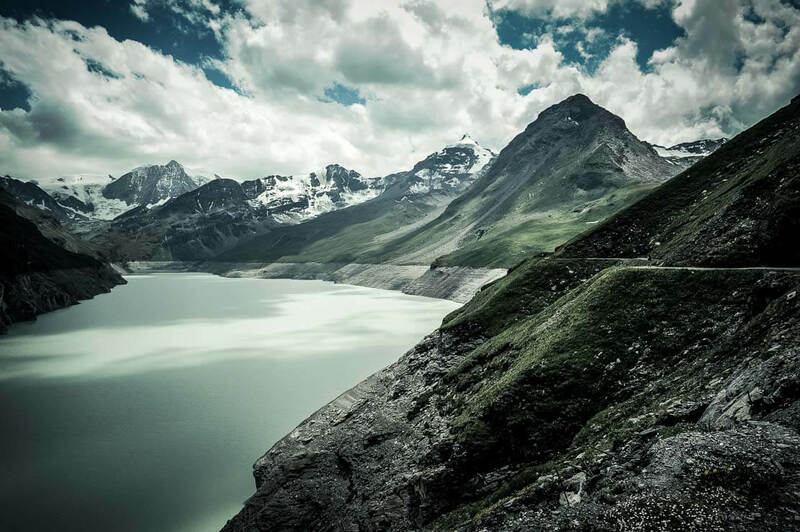 Difficulty: Easy hiking: T2 (medium, mountain hiking), 10km, with 800m altitude difference from the base of the dam or 570m altitude difference from the lake. 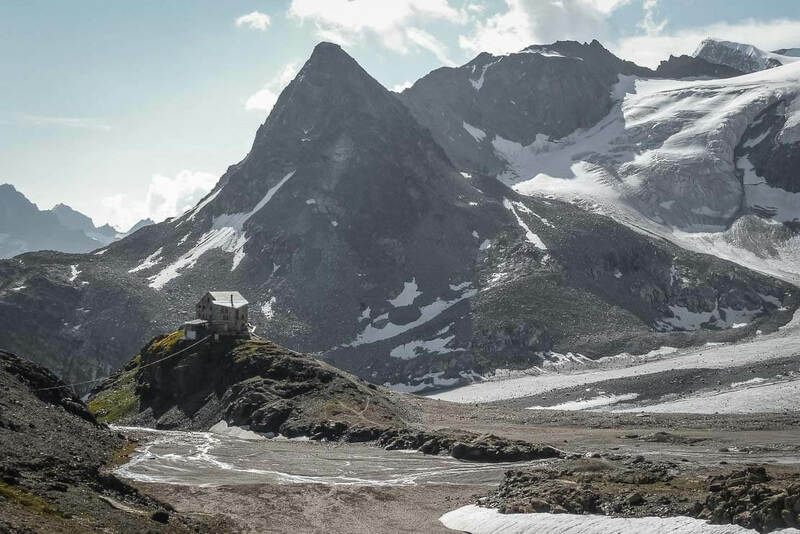 The Dix hut is guarded only in summer (end June – end September). 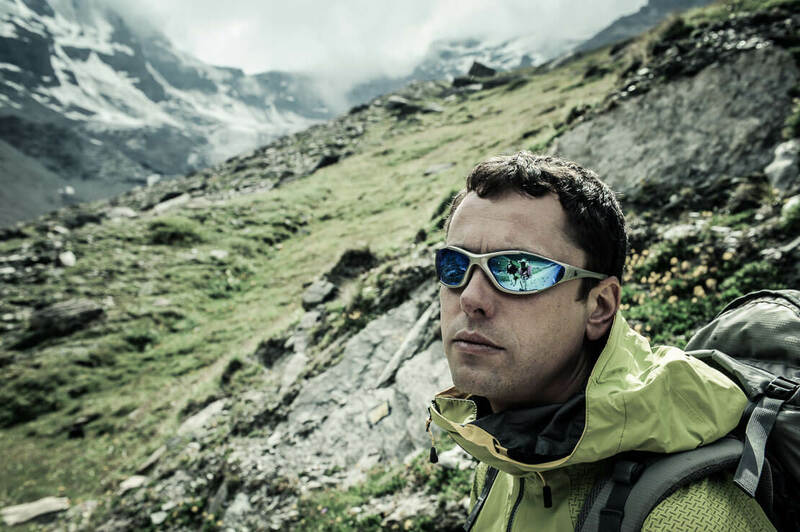 The Dix Hut belongs to the Swiss Alpine Club (SAC), offering a discount to its members.